Step 1: First of all, you need to move to your video library. In case if you find this library is empty, then you can add videos to it from your personal device. Simply use the upload button to get your video to which you wish to add subtitles or captions. Step 2: Now use edit video button it will help you to reach at Captions Tab. It offers two selections: Generate or Upload SRT file. The great news for adding video captions is that this platform supports various languages. Users can upload captions manually using their desired language. 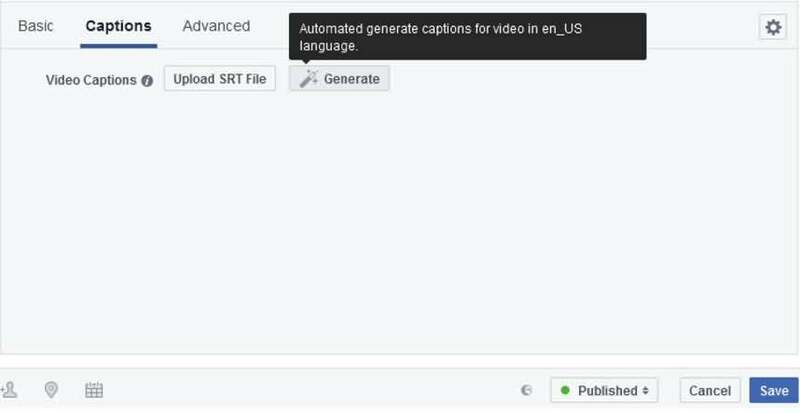 If you want to add captions from SRT file then simply use Upload SRT file option available on screen and get it uploaded from your computer. And then click the Save button. Simple open your desired Text editor tool. Note that, each caption phrase need to be divided into several numbered sections so start with 1 and then press Enter. The standard timing options for SubRip formats use to be milliseconds so you need to divide all phrases respectively into desired time slots. Keep on adding your phrases till the time you cover whole video. Now save this text file into SRT format by using Save and then All Files option. Add your desired file name and select file format as .srt. Hit Save option. Note: Facebook can't recognize your caption file unless it is named in the format: [two-letter language code]_[two-letter contury code].srt. For this case, all you need to do is select the Generate option from tool and captions will be automatically added in US English language format. Now move to the Generate tab where you will find those recently generated captions for your video file. You can edit them as per your preferences. It is possible to pause the video when you are updating your captions. 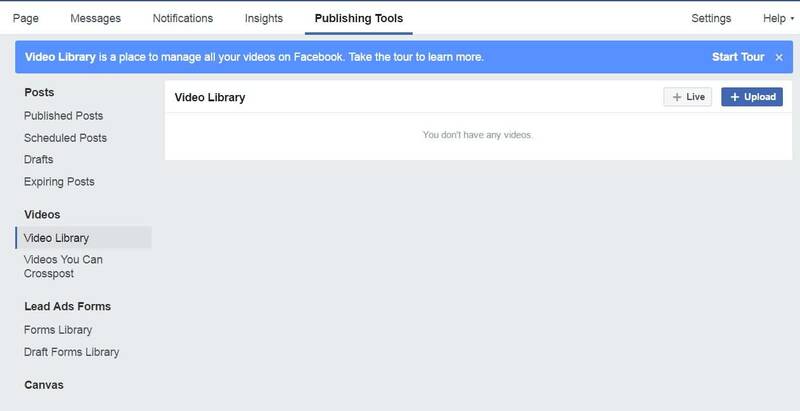 It is also possible to delete Facebook video captions with ease. Click the trash can option below Caption bar. Check previews of all changes that you have made by editing or deleting your captions. Save all updates when you are satisfied with preview. It is convenient to create captions in Facebook with the automatic generate tool or uploading the .SRT file, but if you want your text/subtitle with more cool visual effects, like dialog balloons, headings, we recommend you to use Filmora. 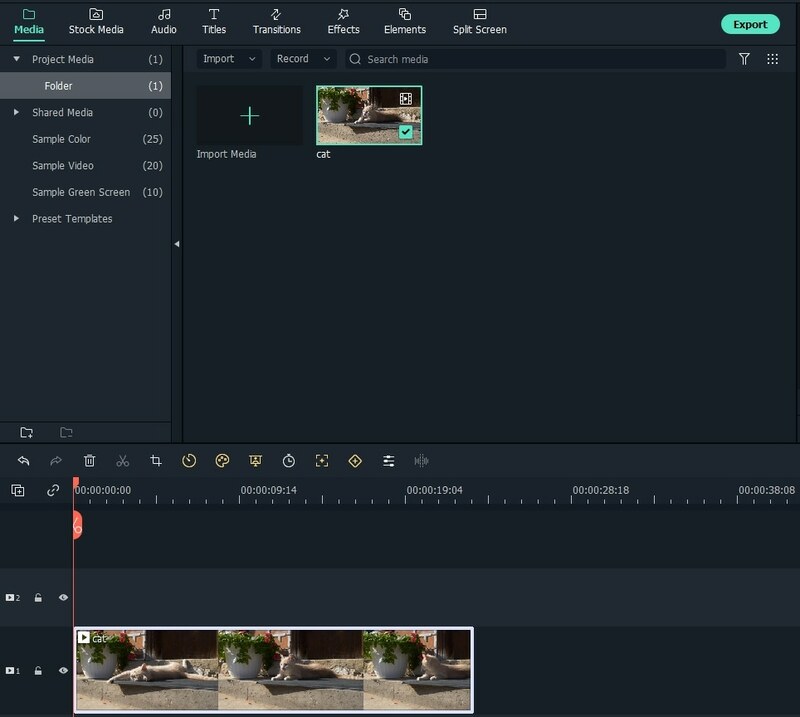 You can easily update intro, credit and captions as well as subtitles to your Facebook videos using Wondershare Filmora tool. First if all, you need to add your video file to Wondershare Filmora timeline. Note that it is good to import videos to Media Library first and then access them for editing via library only so that your original video files can stay safe. Use drag and drop feature or Add files option to get your files from Media Library to Timeline. Wondershare Filmora will provide you a wide range of templates for selection of text formats. You can pick any of these as per need. Add Titles:When you are ready to add titles to your Facebook videos, then simply move to Text/Credit Tab on your software tool, here you will find more than 90 text templates. Choose any of these as per your need and finally drag it to title track available on timeline. Soon you will find a text thumbnail on screen with a letter T. Open text editor panel by double clicking on this text thumbnail and now you can start typing you’re your titles. Make selections for animation, color and font type. Add Subtitles/ End /Opener Credit:The process for adding subtitles or credits is almost same as that of titles editing. All that you need to do is, drag and drop your desired template from Credit tab to timeline, place this template on your selected video file. Now enter your text based information and make selections for desired animation, color and font type. In case if you are working on Photos then you can also access various built in type editing tools like Motion, Hue, Saturation, Contrast, Brightness, Crop and Rotate etc. Once you have finished the text based editing task then hit the Export option available on software window. It will provide you six different output selection options, edited file can be send to DVD, Vimeo, YouTube, Facebook, Device and one can adjust desired Format for it. If you want to update this edited file on Facebook Page then simply select MP3 as your desired output file format. Do you know why some of my videos do not have a general option?